Expert land surveying, engineering, land planning, and site work professionals in Jefferson GA.
Years of experience and a dedication to meticulous civil engineering practice have allowed the team at DuSouth Surveying to become known as a go-to resource for civil engineering and surveying in Jefferson, GA. We strive to provide satisfaction for all types of Land Surveying, Engineering, and Site Work Projects in Jefferson GA. DuSouth can perform anything from extensive and complicated Construction Surveying jobs to small residential homeowner needs. Insured. At DuSouth Surveying, our priority is the success of your project. Our team of civil engineers is insured to provide you with peace of mind. Experienced. With over a decade of experience in civil engineering practice, our team of professionals has worked with property developers, government agencies and commercial businesses to complete thousands of projects. Knowledgeable. Experience in multiple civil engineering specialties has led to the development of a knowledgeable team of professionals. Accurate. Focused on accuracy, DuSouth Surveying’s team of civil engineers performs comprehensive consultations to ensure construction planning is precise. Civil engineering is at the heart of modern civilization. Without civil engineers, it’s hard to imagine a developed society with highways, bridges, clean water and other modern conveniences. At DuSouth Surveying, civil engineers provide consulting services for a range of projects in Jefferson GA. From commercial construction and remodeling to hydrology and traffic planning, our team of professionals is capable of performing expert assessments and recommendations. When you need land surveyed, it’s important to work with experienced professionals. DuSouth Surveying is a leading provider of Jefferson GA civil engineering and surveying, offering surveying services to the public. Both residential and commercial requests are expertly completed by DuSouth Surveying’s team of professionals. Before you begin any construction project, it’s important to work with experienced site work contractors. Here at DuSouth, our site work services set up your project for success by using years of experience to set up foundations, piping, utilities, etc, to prepare for the final construction. Both residential and commercial requests are expertly completed by DuSouth’s team of site work professionals. 1. What projects do the civil engineers at DuSouth Surveying and Engineering work on? We work on everything from restaurant rebuild to commercial construction and water/sewer lines. Contact us today with your project needs. 2. What residential services does DuSouth Surveying and Engineering provide? We provide boundary surveys to reveal property lines, as well as property line staking. We also provide topographic surveys and elevation certification. 3. What makes DuSouth Surveying and Engineering the best choice for your project needs? We offer complete site work and utility installation for large commercial projects or residential needs. We offer any project desire or need for all of our customers, making us a one stop shop. 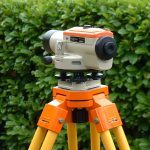 DuSouth Surveying and Engineering is home to two surveyors that have over 12 years experience. We are registered with the State of Georgia and are qualified to conduct A/E/M/P engineering and GDOT upgrades. 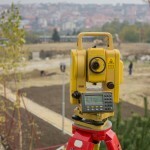 We also offer the latest in technology and surveying equipment to give our customers the best product. DuSouth is a name you can trust! Jefferson is the county seat of Jackson County. It is home to locally owned shops and restaurants. There are a multitude of community events, including concerts in the historic square and an annual Christmas Parade. There is history to be explored here at the Crawford W. Long Museum. DuSouth Surveying and Engineering is proud to offer their commercial and residential services to the people of Jefferson. 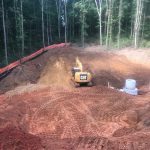 We know the Jefferson GA civil engineering business, and our experience will help ensure that your survey documents will be accurate and timely. Don’t waste time using staff resources on a project without first working with an experienced civil engineer. Whether you plan to develop property or work with a government agency, civil engineering consulting from DuSouth Surveying is available now. We look forward to the opportunity to serve you and the people of your company. Please feel free to call one of our team members at 706-310-1961 to further talk about what we can do for your projects, or Click Here!